Let me tell you about a magical place, a mystical, wondrous place, right here in New York City, but that I have never been to: Levain Bakery. 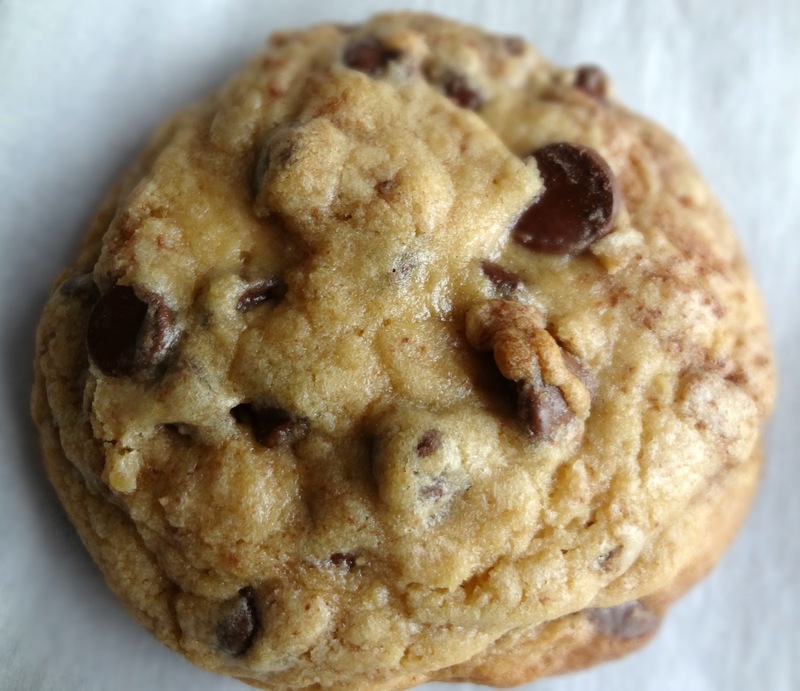 They are known for their HUGE and outrageously amazing cookies (particularly their Chocolate Chip Walnut Cookie). I have not yet had the pleasure of eating one, but I've heard plenty-and have seen quite a few copy cat recipes. So, to bide my time until I can have the real thing, I decided to try one. Apparently, a few of the things that make these cookies different (other than the sheer size) is the addition of cornstarch, that there is no vanilla, and there is a very distinct brown sugar flavor (which I LOVE). The dough is so irresistible, good luck trying to control yourself and actually make the cookies. You seriously should make the cookies, though, they're out of this world. Are they exactly like the Levain cookies? I'm going to guess no. (UPDATE: Nope...not even close) Did mine even turn out as huge as Love From The Oven's? No-however, they still were pretty large, extremely chewy, gooey, and tasty. 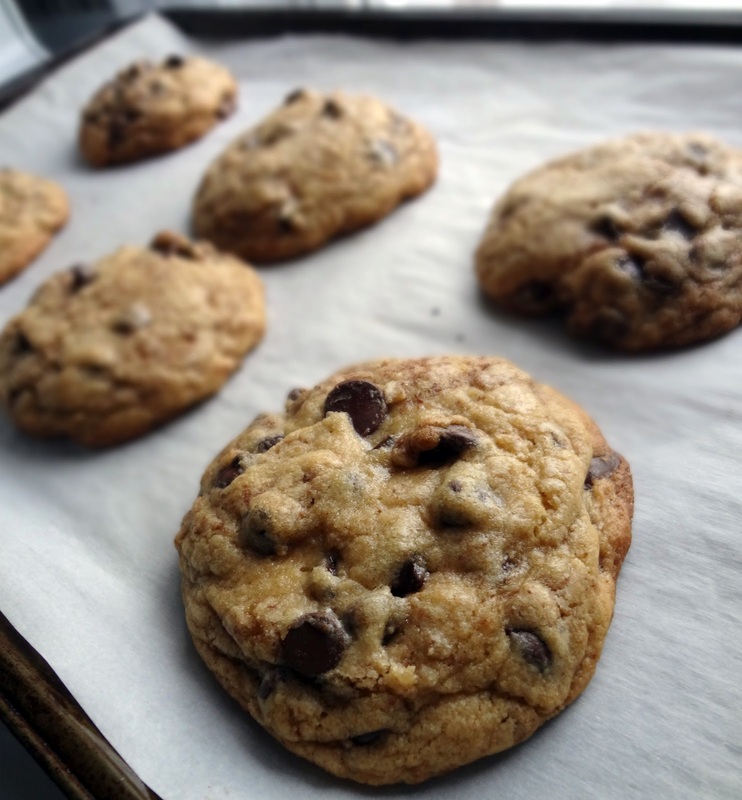 For sure the best chocolate chip cookies I have ever made. I love them so much it's nuts, like, ahhh so good! Optional: 1/2 a block semi-sweet or dark chocolate, grated (just gives you a little extra chocolate in each bite--if you're using Baker's, it will be half of one of the individually packaged squares). Add eggs, one at a time, until fully mixed in. Add in chocolate chips, and (if using) nuts. And, if you're using the 1/2 block of chocolate, finely grate it in. The dough should be so thick that you need to knead the chocolate and nuts in with your hands. Roll dough into large balls, and place on cookie sheet (I used parchment paper because I'm nervous of sticking, but Love From The Oven didn't use anything, she didn't even grease the sheet), make sure you leave plenty of room in between. I decided to bake one tray at a time (I made 3 trays total, making 18 cookies), and while one tray baked I kept the rest in the refrigerator. 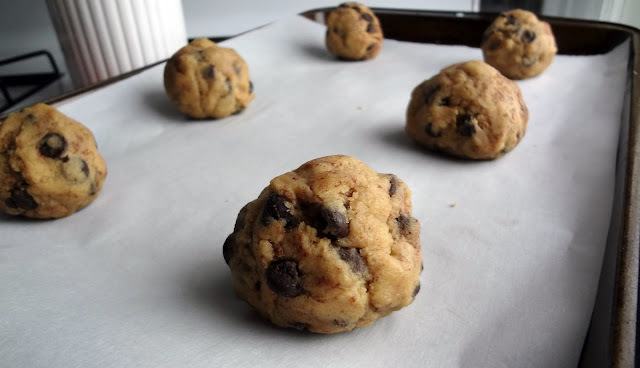 Put cookies in the center of the oven, bake for approximately 10 minutes (larger cookies will take longer). Keep a close eye on them. As soon as they start to brown, remove from the oven-you want the inside to be somewhat under baked! Let cool a few minutes, then remove from pan (I put mine on that adorable heart towel, below. You could use a rack or whatever), allow to finish cooling. 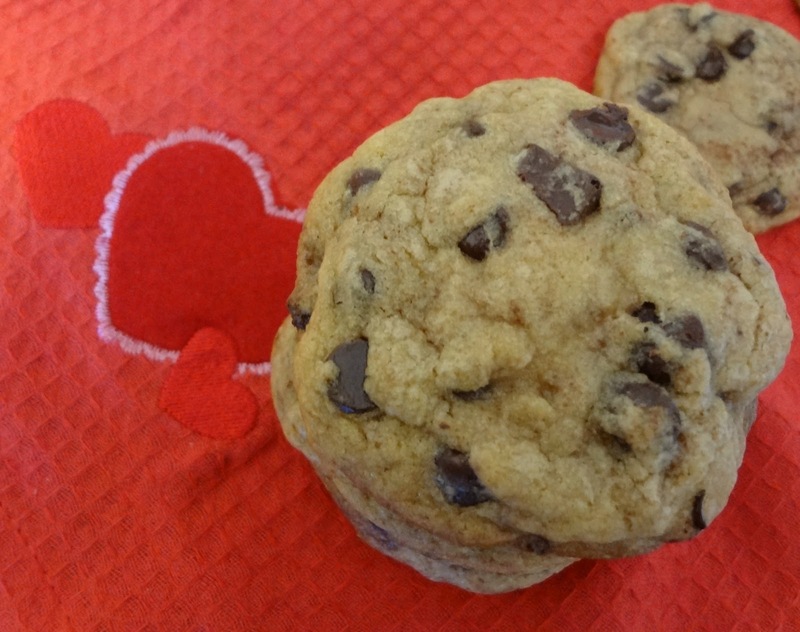 Also, steal a cookie and eat it while it is gooey and warm. 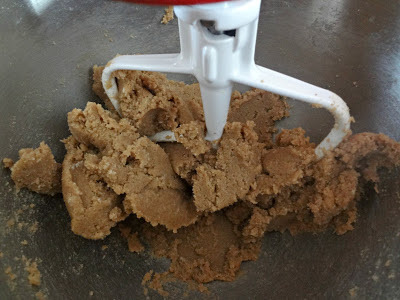 I'm linking up at Tidy Mom's "I'm Lovin' It" , Sweet As Sugar Cookies' Sweets for a Saturday ,Crazy for Crust's Crazy Sweet Tuesday, and Chef in Training's Tuesday Talent Show. 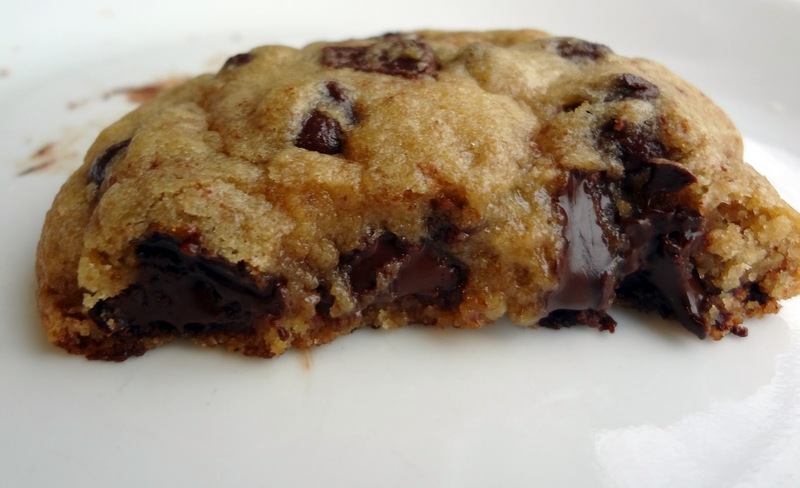 Also-this post has been featured on Dessert Stalking! 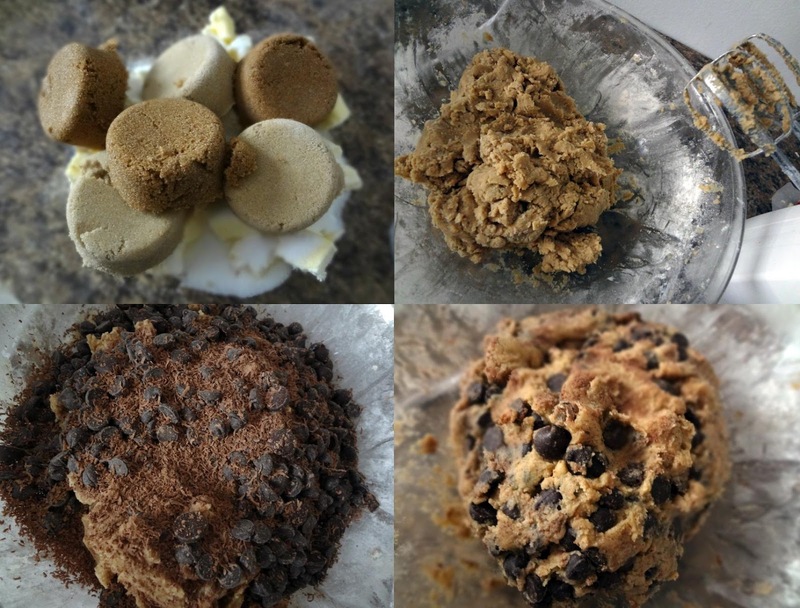 Okay, I need to try these. I've heard of that bakery and wish I could taste one. These look AMAZING. Thanks for sharing on Crazy Sweet Tuesday! I'm so sorry about that! In the US, at least, butter comes in sticks that are always 8 tbsp (or 1/2 cup). I'll clarify that better in the recipe! Also...sorry about the converting. I have no idea how to even begin to try that lol. Ahhhh I know, I really do need to try those! I go to Levian every chance I get. They are the most amazing cookies on the planet. They are pricey at 4$ a cookie but who can say no?! Im hoping this recipe is a good!